New Haven, Mo. – This morning City Administrator Steve Roth provided a statement update on the Miller Street construction project. The Miller Street reconstruction work will enter the final phase this week, with the road hopefully being partially paved by Friday. New Haven, Mo - Representatives of the United States Postal Service have agreed to hold a second community meeting on Oct. 11 to discuss the results of a community survey that was sent out earlier this month. New Haven, Mo. – Phase two of the Miller Street project has progressed with little disturbance to residents in the construction area. However citizens have asked about what is being done to reduce the amount of dust. We spoke with City Administrator Steve Roth about this issue earlier this morning. New Haven, Mo - New Haven city officials are advising residents that the City has no affiliation with a company that is offering water service line insurance to city residents. City Hall staff has received numerous calls this week regarding a solicitation mailed recently to city residents. New Haven, Mo. - New Haven city officials would like to advise residents that a section of Miller Street will be closed this weekend from Bates Street to Wall Street. Residents will be able to access their homes, however the road will be closed to through traffic. Picture was taken at the intersection of Miller Street and Bates Street. We spoke briefly with City Administrator, Steve Roth, regarding progress on phase one of the Miller Street Project. Each year Chief John Sheible and City Hall are forced to deal with property owners who are not maintaining their lawns in accordance with city ordinance. New Haven city voters will decide a parks and recreation tax proposal at the polls on Tues. April 3. The ballot issue seeks approval of a quarter-cent sales tax to fund city parks. The proposal also includes a five-cent reduction in the park property tax. The proposal is anticipated to generate an additional $30,000 annually for parks and recreation purposes. The Miller Street reconstruction project will begin on Mon., Mar. 26. The project has been broken down into two phases. The first portion of the reconstruction project will be between the railroad tracks and Orchard Street. 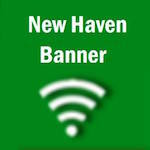 The City of New Haven plans to run its first test of a new phone emergency notification system on March 13. The test is scheduled to coincide with the statewide tornado drill, set for 1:30 p.m. that afternoon. The City system will call all phone numbers in the City’s utility billing database. The system is similar to those used by local school districts to inform parents of school closings.